The program includes works by Albinoni, Grieg, Weber, Sarasate. Sympho - Opera / Year of music by Skoryk. I.Shcherbakov. "Penitential verse" for violin and strings. Y. Stankovych. "Remembrance of the Land of Lotus"
L. Dychko. "White snow" from the cycle "Three Etudes of Winter"
І. Shcherbakov. "Penitential verse" for violin and strings. Big Concert Recording Studio of Ukrainian Radio. Art group "Theater of songs" Ladonki"
C.Saint-Saens, S. Rachmaninov, M. Skoryk. Olena Serova. "Mirrors" for bassoon and orchestra. Valery Antonyuk. Concert for Viola and Symphony Orchestra. Concerto for violin, viola and symphony orchestra. Soloists-Andriy Pavlov (violin), Katerina Suprun (alto). Sergiy Pilyutikov. "Better forget when the Dragon sings"
Concert for double bass and symphony orchestra. Legend in the style of blues. Best. Symphonic poem "An American in Paris"
Fragments from "Porgy and Bess"
O. Shcherbakov Oratorio "Great wish ..."
for soloist, reader, mixed choir and symphony orchestra. "The music inspired by Roxolana"
and the Ministry of Culture of Ukraine. Franz Joseph. Haydn. Symphony No. 63 "La Roxelane". Dmitry Akimov. Music of the ballet "Roxolana". Works by Turkish composers Nevita Kodali and Ayutkin Atash. Soundtrack to the Turkish series "The Grand Century". INTERNATIONAL FESTIVAL "KYIV MUSIC PREMIERE"
Victor Stepurko. "In memory of Eliza"
triptych for violin and symphony orchestra. Vsevolod Sirenko. Suit with ballet "King-deer". Concerto No. 2 for violin and orchestra. Mykola Lysenko - Overture to the opera "Taras Bulba"
Yevhen Stankovych. "Memoir of the Country of Lotus"
"And Jazz, and Mozart, and Kino ..."
Concert in the frames of the XXVII International Festival "Kyiv Music Fest"
J. Bize. Duet and choir from IV action of the opera "Carmen"
J. Bize. March and choir from IV action of the opera "Carmen"
F. Chilea Aria Princesses de Bouillon with the II act of the opera "Adriana Lecouvreur"
A. Poinciella Duet of Gioconda and Laurie from II Action of "Gioconda"
"ORCHESTRAL MASTERPIECES OF XIX CENTURE"
M.Lysenko - Overture to the opera "Taras Bulba"
M. Mussorgsky - Symphonic Fantasy "Night on Bald Mountain"
L. van Beethoven Overture to the tragedy G.-Y. Collin "Coriolan"
G. Kuzina. Concert-Symphony for violin and orchestra. G. Kuzina. Symphony concert for viola and orchestra. N. Rimsky-Korsakov, Symphony Suite "Scheherazade". P. Tchaikovsky. Symphony № 6 in B minor "Pathetique"
Symphony № 6 in B minor "Pathetique". 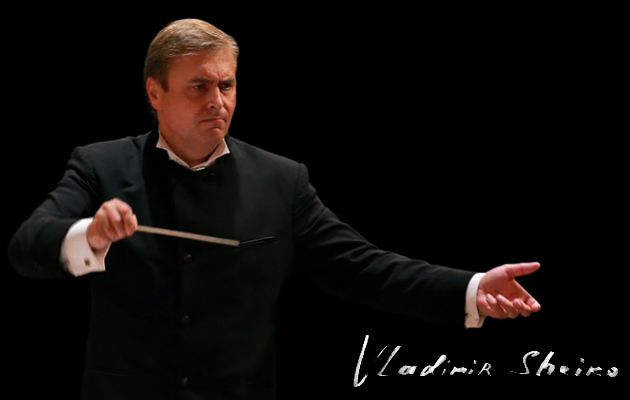 M. Brown - "In Memoriam; Maidan" for orchestra, op. 1. V. Guba - Simfonietta No. 2 "Memorial Day" for symphony orchestra and choir. video and soundtrack with the sounds of “Maidan Nezalezhnosti (Independence Square). Kyiv Chamber Ensemble "Contrasts Kyiv-Classic"
Y. Stankovych. Concerto № 2 for cello and orchestra. Y. Stankovych. " Taras Passion" (selected fragments) for choir and orchestra. Concert No.2 for piano and orchestra"
Anna Kuzina. Concert-Symphony for violin and orchestra. Soloists: Tamara Khodakova, Bohdana Pivnenko. Ihor Shcherbakov. "Elegy of silent Maidan". Y. Stankovych. Symphonic Poem "Dnipro". "No end to Cossack Kin". the First Ukrainian Hetman, Zaporozhian Cossacks founder. National Palace of Arts "Ukraine"
Opening of XXVI Festival "Musical Premieres of the Season"
National Music Academy of Ukraine. H. Havrylets, O. Serova, E. Irshai (Slovakia). in memory of victims of the genocide of the Crimean Tatar People. "ANT ENTENRMEN" ("I swore") by Noman Chelebizhdyhan. Music from film "Haytarma" (by Sergiy Krutsenko). National Academic Choir of Ukraine "Dumka"
To the 30th anniversary of the Chernobyl accident. Luigi Cherubini. REQUIEM No.2 in D minor. "Skoryk - Stankovychc - Sylvestrov"
M. Skoryk, "The Hutsul Tryptych" on themes from the film "The Shadows of Forgotten Ancestors"
M. Skoryk- N. Paganini, Selected Caprices for symphony orchestra. Symphony Orchestra of Ukrainian Radio. Soloists: Josef HERMINE (piano), Alexander PIRIYEV (cello). E. Savenko, Concerto for saxophone and orchestra. Jubilee concert of Oleksandr Ponomaryov, Ukrainian pop-singer. Z. Kolodub, M. Shukh, V. Huba, V. Hodzyatsky, V. Nazarov. symphony orchestra, boy’s choir and electronic groups (world premiere). Franz Liszt. "Totentanz" ("Dance of Death"). Franz Liszt. "Fantasia on Hungarian folk themes for piano and orchestra"
Opening of the situation in Europe. Questions sent to members of the EBU: results, trends and new developments. Round table group discussions and reports of groups. The future of classical music. How to integrate children and young people in classical music? What we do for the next generation of performers? Discussion: children's projects to support young artists. Change Europe - new concert formats. Concert in the frames of the XXVI International Festival "Kyiv Music Fest"
Cantata for mezzo-soprano and chamber orchestra "Burying"
Cantata for baritone and chamber orchestra "Tree of Life"
In the program: Strauss’s works. "Musical Premieres of the Season"
V.Antonyuk - Symphony № 6 "shouts over the abyss"
O.Rodin - "Baraholka (Pocket Theater for symphonic orchestra"
I.Nebesnyy - "And God created Adam hands ..."
Batiar overture to the opera "Samiylo Nemyrych"
Cantata for tenor and chamber orchestra "You"
The cycle program "100 masterpieces of world music." T. Roy (flute), Andriy Vasko (drums). Oleksandr Chuvpylo (tenor), Oleksandr Kharlamov (bass). "Chernobyl - young people will remember." The National Academic Choral Capella "Dumka"
Y. Stankovych - "Passion for Taras"
Public Association “Poltava - spiritual capital” presents. National Radio Company of Ukraine Symphony Orchestra. Richard Wagner. Overture to the opera "Lohengrin"
Pietro Mascagni. Intermezzo from the opera "Cavalleria Rusticana"
Giuseppe Verdi. "Balladile" from the opera "Aida"
Giuseppe Verdi. Overture to "The Power of Destiny"
Georges Bizet. "Farandole" from the Suite to the drama by A. Daudet "Arlezianka"
Gioacchino Rossini. Overture to the opera "The Thieving Magpie"
Leroy Anderson. Concert Polka "The Typewriter"
Andrei Petrov. "Humoresques" from the Movie "Amphibian Man"
Concert at the International Festival "Musical Premieres of the Season"
B. Antonjuk, Symphony № 4 "System of Desires"
A. Rodin, "The Book of Dreams"
Shevchenko's Art Festival "Chernecha Gora"
M. Lysenko, Overture to the opera "Taras Bulba"
L. van Beethoven, Symphony № 9, Part 4, "Ode to Joy"
Maruyama Kadzunori, "Requiem in memory of Chernobyl and Fukushima "
"With an Angel on the shoulders"
Encemble "KYIV SINGERS", Ethnogroup "MNOHAYA LYETA"
E. Artemyev, A. Babajanyan, L. Anderson, A. Adan, E.L. Webber. “The Day of National Unity”. A.Khachaturian. Concerto for Violin and Orchestra. P.Tchaikovsky. Concerto for Piano and orchestra No.2. L. van Beethoven. Fantasy for choir, piano and orchestra. L. van Beethoven. Triple Concerto for Violin, Cello and Piano. J. Brahms. Rhapsody for soloists, choir and orchestra. C. Debussy. Rhapsody for Clarinet and Orchestra. Tchaikovsky National Music Academy of Ukraine. M. Skoryk. “Hutsul Triptych” music from the film “Shadows of Forgotten Ancestors”. B. Frolyak. Symphony No.2, Part 2 , Adagio. A. Kiva. Cantata number No.3 for voice and strings . Soloist : Nina Matvienko. B. Zubytsky. The song “Oh , the wind in thefield”. Soloist : Nina Matvienko. I. Karabyts. Concerto for Orchestra “Music offering to Kyiv”. V. Stepurko. 2 choirs acappella: “Jesus is my ...”, “Cherubs”. V. Stepurko. “Many Years!”, “Benedictus”. V. Hubarenko, Chamber Symphony for two violins and orchestra. G. Verdi, Overture from the opera "La forza del destino"
Susanna Chakhoyan, Alla Rodina, Mariya Berezovska, Igor Mokrenko. Ukrainian Radio Symphony Orchestra trombones Group. M. Skoryk, A. Piazzolla, Ukrainian, Irish, Gypsy folk music. Concert dedicated to the state Russian holiday "The Unity Day"
S. Prokofiev. Kutuzov’s Aria from the opera "War and Peace"
M. Glinka. Final Choir "Glory" from the opera “Ivan Susanin"
Concert at the International Festival "Kyiv Music Fest"
Volodymyr Ptushkin (Kharkiv). Concerto for violin and orchestra.